In 2011 I walked the Camino de Santiago or the way of St James as it’s also known. I started out in St- Jean-Pied-de-Port – the classic starting point in the french Pyrenees. After finally arriving in Santiago de Compostela I went on to Cape Finisterre at the Atlantic coast of Spain. This is my personal story about a hike that became more of an adventure than I had bargained for. It started in deep snow in the Pyrenees and half way through it almost cost me my life. But I finally arrived at the coast with all my limbs intact, albeit much later than planned. The full story is in the diaries. They also contain lots of interesting trivia as well as a few dos and don´ts. The first half of the story might possible seem daunting to the reader, but that’s not my intention at all. The Camino experience mad me a better person in many ways and it’s an adventure I look back on almost daily. To put on the backpack at dawn, and to walk all day, though new scenic environments, and get to rest at night in a new village with new people, gives an unique feeling of freedom. In fact it is a good metafor for how life should be lived. Beyond routines, conditioned expectations and guarding of old, fixed positions. All experiences on the Camino might not be easy or ‘positive’, but there are few things that brings so much self-knowing as getting into the thick of the ‘friction’ of life. On the ‘frequently asked questions’ page (see menu above), I have compiled some practical advice about walking El Camino de Santiago. There is also some advice on packing and equipment. If you can’t find the answers you need, feel free to contact me. 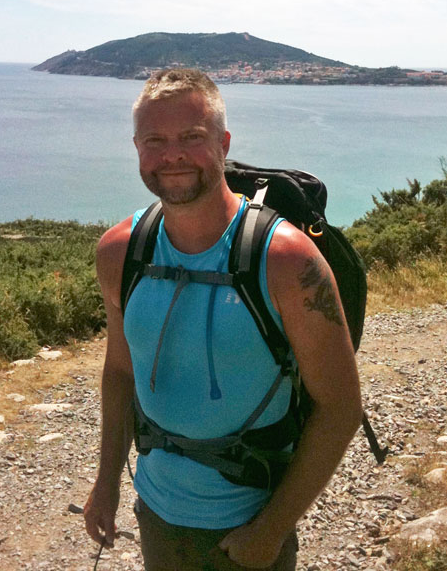 Now and then I make new blog entries with updates about the Camino and my own future walks. At the lighthouse in Finisterre, 0 kilometer remain to walk, after a 900 kilometer hike. 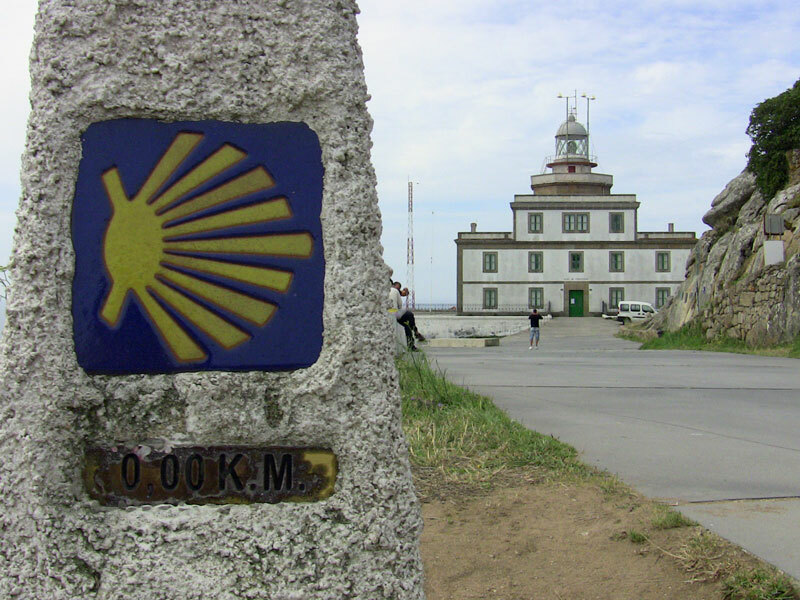 Click on the yellow arrow to read the first page of the Camino diary. © 2019 Magnus Fyrfalk at Camino de Santiago | Designed & Developed by Indieground Design Inc.